An accomplished CPA and CGMA with vast experience in public accounting firms and large businesses, Jan is expert at financial analysis and strategy setting for all types of organizations. As director of accounting and finance at Wikoff Color Corporation, a $110M printing ink manufacturer, she managed a 15-person team within this highly competitive, international manufacturing sector. Previously, Jan was director of accounting at The Charlotte Observer, a $120M-plus unit of The McClatchy Corporation, where she was responsible for all accounting practices and policies including internal and external audit functions. 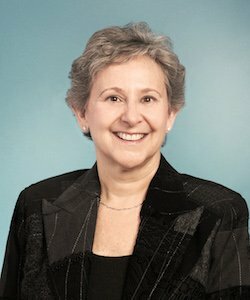 Her experience also extends to large businesses such as Collins & Aikman (a $3B worldwide corporation with 65 plant locations) as well as esteemed accounting firms BDO Seidman, where she was an audit manager, and Arthur Andersen, where as an experienced audit manager she managed the healthcare practice. Jan is the current vice president of Jewish Family Services and has served on the boards of various organizations, including the Children's Theatre of Charlotte and the Shalom Park Freedom School. A member of the NCACPA and AICPA, she earned her master of business administration from The Wharton Graduate Division of the University of Pennsylvania after receiving her bachelor’s degree from Smith College.